For Lely, 1992 marks an important milestone in the company’s history with the introduction of the Astronaut milking robot. When we launched the milking robot, it was met with mixed reactions; some declared it groundbreaking, while others didn’t believe a robot could ever milk a cow. Today there are 30,000 Astronaut milking robots worldwide and 3,000 in North America. Since the first Astronaut hit the market 25 years ago, Lely has continued to make improvements with the cow in mind to create a low-stress milking experience and to help our customers be more efficient. For example, the I-flow concept allows cows to walk straight in and out of the box. Another enhancement is the introduction of the T4C InHerd apps that allow dairy farmers to manage their herd from anywhere. Even with all these changes, some things have not and will not change. 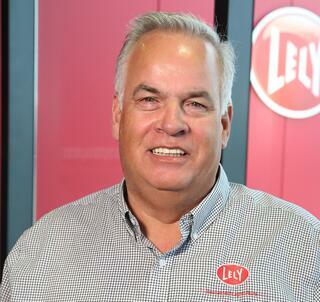 At Lely, it is our mission to help you create a sustainable, profitable and enjoyable future in agriculture. That drives everything we do, from developing new products to providing local support before, during and after the transition to automation. We have a lot to celebrate. In honor of this milestone, Lely is offering a factory rebate on two of our products; the Astronaut A4 automated milking system and Vector automated feeding system. Now, through the end of the year, when you make an investment in your operation, you will receive a $3,000 factory rebate on the purchase of an Astronaut A4 and a $5,000 factory rebate on the purchase of Vector feeding system.